Vincent van Gogh first made the acquaintance of his contemporary Paul Gauguin in Paris; an event that took place upon Gauguin’s return from a sojourn in Martinique. Paul Gauguin, On the Banks of the River at Martinique, 1887. Image courtesy of the Van Gogh Museum. 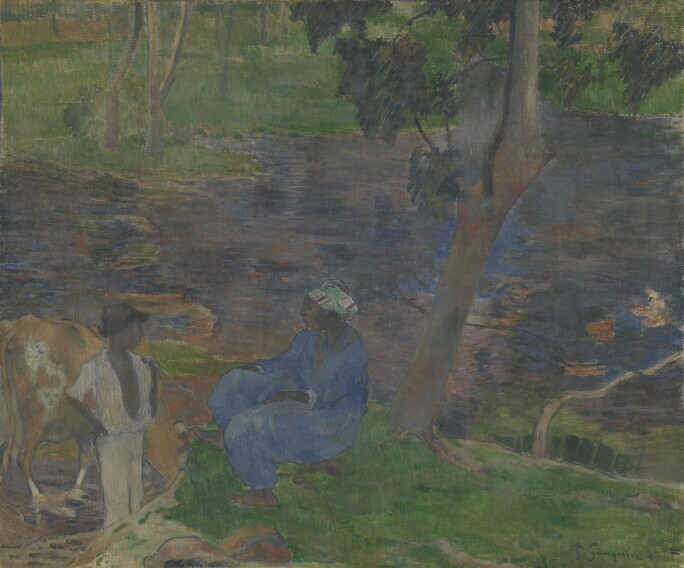 Enthralled by the tropical tales, the brothers proceeded to visit Gauguin’s studio in Paris, in an attempt to see Martinique through the eyes of Gauguin. They were not disappointed; at the studio, the pair witnessed a mysterious new world created by Gauguin: a realm where the waters are a deep purple and the horizon is composed of brushstrokes of green and orange. Instead of going to Martinique himself, Vincent traded his own painting Still Life with Two Sunflowers, 1887, for Gauguin’s On the Banks of the River at Martinique, 1887. Vincent van Gogh, Still Life with Two Sunflowers, oil on canvas, 1887. Image courtesy of the Metropolitan Museum of Art. Now on view at the Van Gogh Museum, Amsterdam, the exhibition Gauguin and Laval in Martinique explores Gauguin’s brief, four-month retreat to Martinique in 1887. The show brings together approximately 20 canvases painted by Gauguin and his companion, fellow artist Charles Laval. The loans, many of which have never been publicly viewed, constitute a dialogue between Parisian impressionists about a distant place of inspiration. Most interestingly, rather than focusing on the ideals and exotic fantasies as presented in Gauguin's paintings, the Van Gogh Museum doesn't hesitate to explore the harsh realities faced by residents of the island during the 1880s, as they appear in instances of Laval's work. 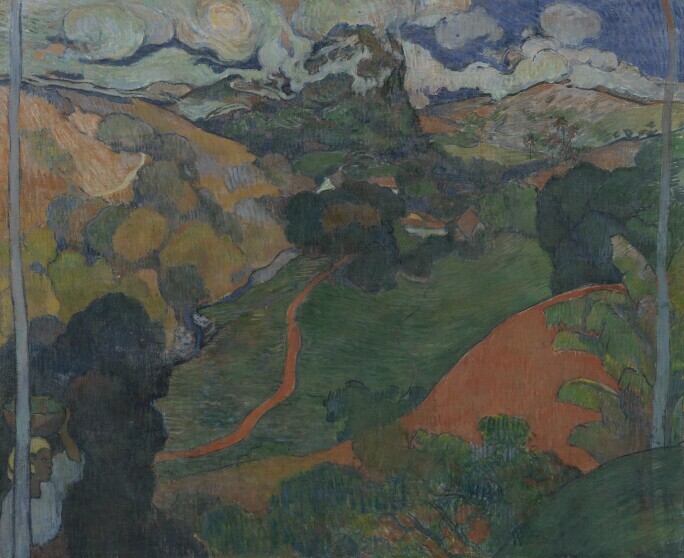 Charles Laval, Landscape on Martinique, 1887-1888, oil on canvas. 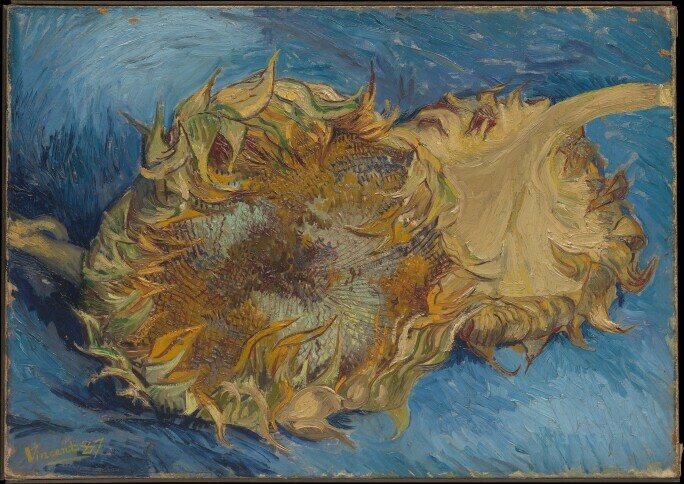 Image courtesy of the Van Gogh Museum.